On the occasion of the birth anniversary of Mohammad Rafi, his fan Sharad Desai shares some memories of a rendezvous with the legendary singer. For Sharad it was a dream come true when he got an opportunity to meet the late singer. “I first wrote to him and he replied to my letter. Once I received it, I left for Mumbai the very next day to meet him. But Rafi saab was out of town, so his son Hameed, made a note of my visit and gave me a date on which I could meet Rafi saab. When I met him later, it was the best day of my life,” he recounts. To mark some of Rafi’s most memorable songs, Desai has made a list of 25 of his best songs, from 25 different films with 25 different actors. “It took me two days to screen through the list, because I wanted to include all the main actors starting from Dilip Kumar to Rishi Kapoor for whom Rafi saab has lent his voice,” says Desai. This entry was posted on Monday, September 30th, 2013 at 12:40 pm	and is filed under Newspapers, Web. You can follow any responses to this entry through the RSS 2.0 feed. You can leave a response, or trackback from your own site. MAI RAFISAHAB KO SUNATE HUVE KARIBAN 55 SAAL HO GAYE.. 1965 ME MAINE INDORE KE GANDHI HALL ME UNKA PROG. DEKHA… TIKIT THA 3 RUPAYE… 22 GANE UNHONE GAYE….. VE INDORE BARAT LE KE AAYE THE,VOH DIN BHI MUZE YAAD HAI… UNFORTUNATELY HAMID BHAI JINKI SHADI INDORE ME HUI, WE IS DUNIYA ME NAHI HAI…. JAISE HI SUNA RAFIJI AAYE HAI, HAMSAB PALASIYA DAUD PADE, VAHAN EK LAWN PAR AJIT, JOHNYBHAI, BAITHE THE…. ….GREAT SINGER OF ALL TIMES. EK BEHTARIN INSAN…. A great singer and agreat human being. He came on this earth only to sing. A very soft spoken , gentle, humble. polite , simple person. his enchanted voice will live forever. Mohd Rafi is not second best in fact no one comes close he’s most definitely the best and comparing him to others is an insult, so Imran it’s not even a close call. Mr Rafi was a great singer! It’s a close call but I regard him as second best in India after Mr Kishore Kumar. Very True;For all Rafi Saab’s fans he is the voice of our soul.Some thing nice happens within…it is as if all the cells within our body vibrates and sings in alignment and synchrony with Rafi Saab.As far as my consciousness is concerned,Rafi Saab’s voice is on of the main identifiers. Dear Sharad Desaiji, you are a very lucky man. you got an opportunity to meet our beloved Rafi Sahab in person. I am also a big fan of Rafi Sahab since my childhood. On those days I didn’t understand Hindi, but I don’t know how I attracted the great voice of Rafi Sahab. I had a dream to see my Rafi Sahab during any live show or meet him in person. But unfortunately I could not fulfil this dream. One day a live concert of Rafi Sahab was organized in my native place Calicut (Now Kozhikode) then I could not attend the show because I could not arrange Rs.5/- as ticket price. Then I was member of a BPL family. In the year 2012, I got an opportunity to visit Bombay. Then I collected information about Rafi Sahab’s residence and reached at Badra. Finally I reached in front of Rafi Sahab’s residence (Rafi Manzil) with the help of a auto rickshaw driver. I stood about 15 minutes in front of the house and watched it. Actually I want to meet any family members of Rafi Sahab so that I can satisfy this meeting to fulfil my lost dream. But the security guard of the house told me that at present no any member is available here. After hearing his words I 2-3 snaps by standing in front of RAFI MANZI. I got some relax and returned back. If I will get another chance to visit Bombay then I will again visit Rafi Manzil and try to meet any member of Rafi Sahab’s family. Insha Allah. I am also lucky like sh arora ji who witness the live show of rafi sahab, for me it was a lifetime opportunity which i never forget in my life, waiting for the list of 25 best songs from your end, sharad ji if u r mumbai may call me on 09768245368 and 09769229728 or vmehru@gmail.com. so we may exchange our views also. I am so unfortunate that I could never meet Rafi sahab in this life time. i used to visit Mumbai almost once in every two/three years commencing from 1967 till 1980. my uncle at mumbai used to tell me that he is a very big man & getting an appointment to visit him is very difficult. in addition to it I too was very very shy to meet him . We have not seen GOD but felt HIM in each every beautiful thing . Since I have the same view about Rafi Sahab I consider Rafi Sahab equal to GOD. 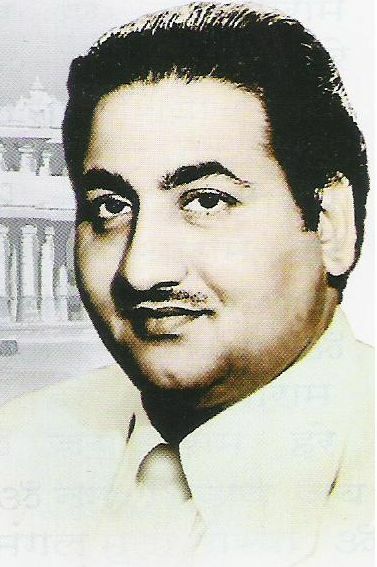 Innumerable centuries – shall Not witness a Mohammad Rafi in singing or as a grt human being. He is a shining example of all that should be the Best in human beings. Voted recently as the Greatest Singer of all times. Rafi Saaheb has a terrific, terrific following and his detractors are unnerved by it. Excellent and joyful to read the article. I am also his fan for last 60 years. I am 67 and from my early childhood i hv been listening to his unparallel voice. I had the opportunity to hear him live in a charity programme in Delhi. I wish I could meet him personally. yes i dont like to hear a song which does not have his voice. In other words I listen only his songs may be duets too. He was not only the best singer but one of the most noble/decent/kind hearted/gentle and cultured persons. his songs wud always remain in mind till life end. My best regards to all Mohd. Rafi fans. Can you publish your list of 25 songs. Thank you.